There are many different clauses in a car insurance policy, and it can get confusing. It helps to have some information about those parts of a policy that can affect you the most. One such topic is the difference between “Comp” and Collision Coverage. “Comprehensive coverage” (a.k.a. “Comp” or “Other Than Collision”) and “Collision Coverage” are parts of an insurance policy that cover physical damage from an accident. However, the two are very different in what they cover. 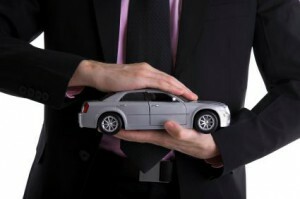 Let’s look at the different parts of an auto policy. An auto insurance policy is broken down into two basic parts: 1) liability coverage, and 2) physical damage. Liability coverage pays for damage you cause to another person’s property and/or their injuries, while physical damage covers your own vehicle. Physical damage coverage, which covers damage to your own car, is further separated into collision coverage and comprehensive, or “Other Than Collision” coverage. Let’s talk about collision coverage first. Collision coverage can best be described as any event that results in the “upset” of your vehicle. This includes any time your car collides or runs into something while you’re driving, or if something runs into it. Collision Coverage reimburses you for damage to your car after you’ve been in a car accident, whether you are at fault or not at fault in the accident. We just described collision coverage, which covers damage to your car from being hit by another car or object. Now let’s turn to “comp” coverage. Comp or comprehensive coverage covers damage done to your vehicle from things other than collisions; it covers damage to your car caused by events that are out of your control. It includes things such as: vandalism, glass and windshield damage disasters, a falling object, hail, theft, fire, impacts with animals, and more. It’s an optional coverage to you, so you don’t have to have it. However, if you have a lease or loan on your vehicle, the lender or finance company may require you to purchase full coverage for your vehicle, in which case they will require that you include comprehensive coverage. So, it can prove useful if something happens to your car that is out of your control.